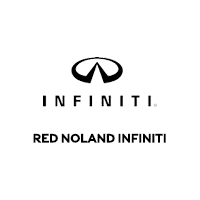 At Red Noland INFINITI in Colorado Springs, we pride ourselves on offering a full selection of new and gently pre-owned vehicle inventory for you to choose from. That includes our Certified Pre-Owned inventory which gives you the affordability of a pre-owned vehicle while also having the peace of mind one often gets with a new vehicle purchase. 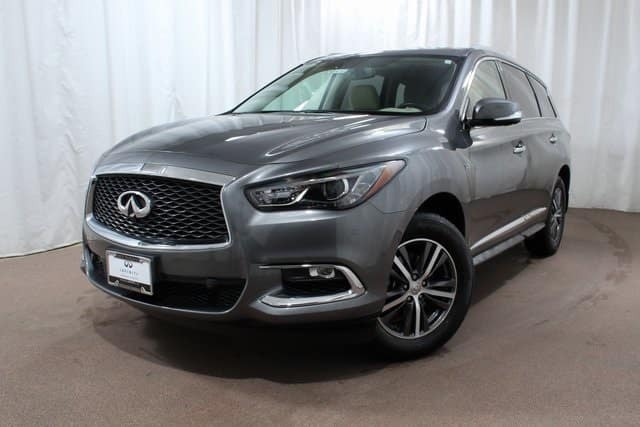 One excellent example of a CPO vehicle at Red Noland INFINITI is this 2018 INFINITI QX60. This crossover SUV is a former service loaner at our dealership. That means our service customers drove this beauty a little so you can save big! It has been fully maintained here at the dealership so we know its entire history. This QX60 is an exceptional value, priced at less than $40,000! The powerful 3.5L V6 engine provides an estimated 19 mpg city and 26 mpg highway. Depend on the Intelligent AWD to provide an excellent driving experience no matter the road conditions. The navigation package with voice recognition will get you where you need to go and is easy to use. You can enjoy the many features of the Premium Plus and Driver Assistance Package. Remote engine start and keyless entry are both great features of this QX60. This crossover has plenty of room inside with three rows of comfortable leather seating. The front seats are heated, as is the steering wheel so you can stay toasty through the cold winter. Safety is not an afterthought on this INFINITI QX60 thanks to the many innovative safety and driver assistance features. Blind Spot Warning System, Back-Up Collision Intervention, and Around View Monitor with Moving Object are among the many safety innovations. The best thing is this gently used INFINITI QX60 comes with the INFINITI CPO program backing, including a 6-year Factory Certified Warranty. Visit Red Noland INFINITI to see this QX60 in person. Sit inside to check out the impressive comfort and the innovative features. Then take this luxury crossover SUV for a test drive and experience its amazing performance.